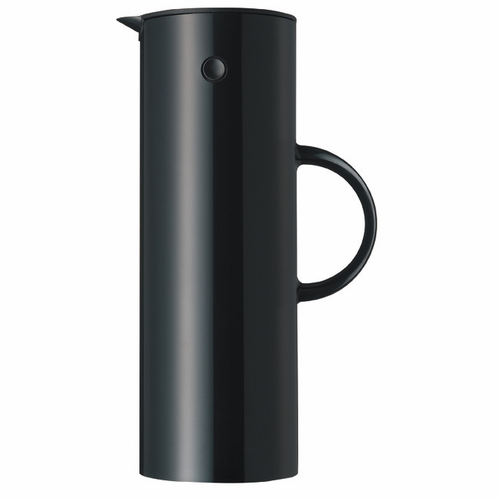 Beauty is in the eye of the beholder, they say; but there must be lot of us that behold the same thing, as Erik Magnussen's 1970s vacuum jug with the tip-up lid is Stelton's all-time best selling product. 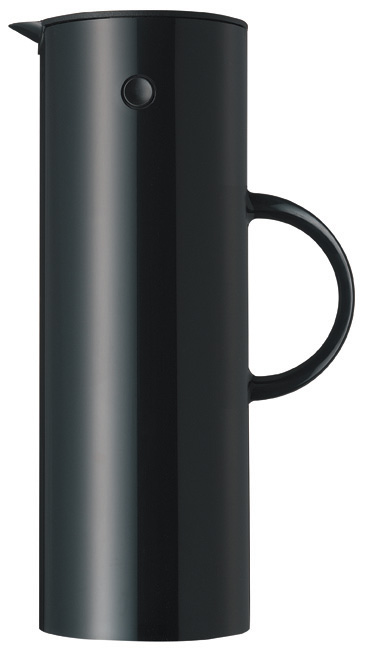 Now the vacuum jug has new surface with an elegant soft shade of black, which both softens the beautiful, compact design concept and invites to be touched a classic which is always up-to-date. Erik Magnussen (b. 1940) was born in Copenhagen. Educated as a ceramist at the School of Applied Arts and Design - graduated with a silver medal in 1960. For a number of years he worked for Bing & Grøndahl and among the latest works are furniture for Fritz Hansen A/S , door handles for Franz Schneider Brakel gmbh, tabletop in pewter for Royal Selangor, tabletop in stainless steel and plastic for A/S Stelton, porcelain lamps for Licht & Form and furniture for Paustian A/S. Erik Magnussen's designs are exhibited in museums throughout the world and he has received the Lunning Prize in 1967 and the Furniture Prize in 1977. In 1983 he was chosen "designer of the year" by the Danish Design Council and his products have several times received the ID-prize by the Danish Society of Industrial Design. Erik Magnussen received the Bindesbøll Medal in 1996 and he has received grants from the Ole Haslund Fund, the Royal Jueweller A. Michelsen's Anniversary Fund and Knud V. Engelhardt's Memorial Fund. 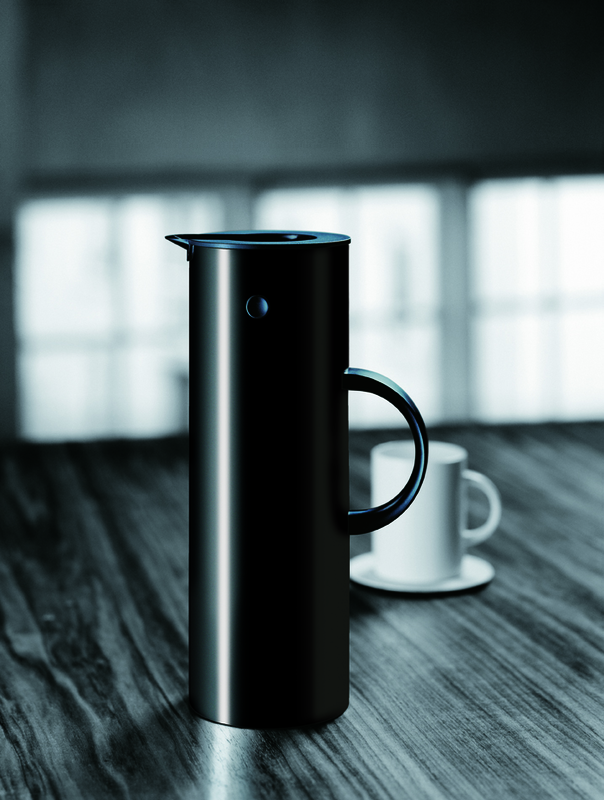 In 1997 Erik Magnussen was awarded "The Red Dot" in the "Design Innovations 1997" competition held by Design Zentrum Nordrhein-Westfalen and he won the "Good Design Gold Prize" awarded by Japan Industrial Design Promotion Organization.